We are losing the full recreational and economic value of our Minnesota lakes and rivers in many different ways. The MN COLA membership met in early 2019 to update the issues of highest priority for immediate action. The issues are organized into 3 areas—AIS prevention and control, protecting the water, and safer boating and better fishing—with detail issues within each. The logic behind acting on each issue now is also included. We do not have a paid staff so we depend on you, as an individual, to educate your fellow citizens and your leaders from the township level on up to include township supervisors, city council members and staff, county commissioners and staff, state leadership, legislators, and agency and department staff. Let's pass Minnesota's unrivaled legacy of fishing and boating on to the next generation by stopping the spread of AIS. ➸ 1. Help discover solutions to our AIS challenges with more sustained and longer-term funding for the University of Minnesota AIS Research Center (MAISRC). Scientific research takes a relatively long time, but it is a vital component in stopping the spread of AIS. Since it was established, MAISRC funding from the state legislature has been short-term (1 or 2 years). Longer-term funding models should be adopted by the legislative session to keep the research moving and to avoid any potential brain drain. Action: Educate yourself on the exciting work going on at MAISRC by picking one or two research areas that are of particular interest to you. Then, educate your legislators about the vitally important research being carried out at the AIS Research Center and to indicate that there must be a long-term funding stream so that the best talent can be attracted and retained. ➸2. Increase boater AIS compliance through fines that are at parity with well respected fines for hunting and fishing— complimented with consistent local enforcement. Currently, there is a larger fine for taking a deer out of season than for bringing AIS to a lake. And yet the recreational value and the economic fallout are much, much greater. AIS typically reduce property values by at least 17%. A lake with 200 properties, each valued at $200,000 could suffer a total reduction in value of at least $6,000,000 from the conscious actions of a single boater on a single entry into that lake. The DNR and other groups will try to convince you that the best answer is "education and awareness". And to their credit, education has helped make most boaters aware of AIS, but it hasn't always changed behavior. The recreational and economic consequences of bad behavior must not be allowed. It is not fair to anyone in the state, including the boater, who cannot possibly escape the detrimental economic and life-style changes that follow an infestation. Having a financial deterrent in the form of hefty fines will complement the education to change behaviors, but these new fines must be put into law, and they must be enforced. Businesses will falter or fail, services will be curtailed, and the ability to enjoy the thing that attracted them in the first place will be degraded. Each new AIS changes that lake forever. If we are serious about retaining the great fishing and pristine waters that remain, we must stop the spread of AIS. Action: Work with your county, city and township units of government to get their licensed police officers trained on the AIS laws that they can enforce now. Fining (not just issuing warnings) for offenses of AIS laws will change behavior to protect your area lakes. Then, educate your legislators about the vital need to protect water bodies by enacting laws that have as much impact on changing behaviors as we have done for hunting and fishing. ➸ 3. Help local groups with their AIS prevention and control efforts through increased grants and expedited permitting. Yet, the last few years have brought significant reductions in the DNR grant monies made available to LGU's and lake associations. This reduction was coincident with the $10 million in AIS program now flowing to the counties from the state legislature. As a result, many water bodies are no longer able to get DNR grant funds for AIS plant control efforts. The permitting process for these AIS control efforts also needs streamlining, especially for control efforts that are repeated year after year. 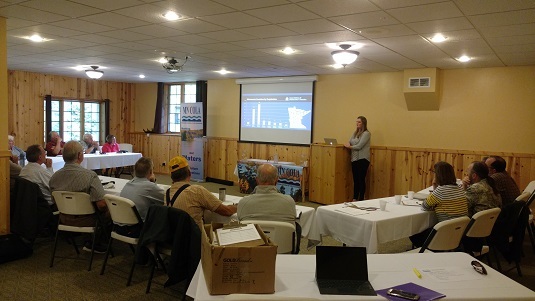 Action: Talk to your legislators about the need to restore and increase the DNR AIS management grants, and to establish multi-year control permits. 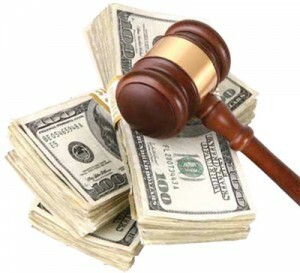 c. Increase the annual distribution from $10 million to $20 million. Starting in 2015, the state provides $10 million annually to the counties to be used solely to prevent or limit the spread of AIS at water access points. The aid is allocated to the counties based on a formula: 50 percent based on each county's share of watercraft trailer launches and 50 percent based on each county's share of watercraft trailer parking spaces. This funding has provided substantial help at the local level to prevent the spread of AIS, but there are a few things that could be improved. One of the improvements is to the formula for allocation. It was relatively easy and convenient to disburse the funds by county, but many watersheds cross county borders and that makes it more challenging to protect the key bodies within the watershed, especially when headwaters cross county borders. A more thoughtful approach could allow distribution by watershed. That would be consistent with the new planning models that are done by watershed (One Watershed One Plan) as opposed to by county. Once the money gets to the county, it needs to be used well. All counties have established some mechanism to decide what to do with the money. Some counties established an AIS task force to determine the best use of the money, while some counties do not. Some counties get significant lake and river association input while others do not. We know that lake and river associations are the consistent stewards of the water and we believe they must be active stakeholders who help to determine the use of the money. Lastly, we advocate an increase in the amount of AIS Prevention Aid. The $10 million motivated the citizenry to do more work to protect the lakes and rivers in Minnesota and there is so much more that could be done if there was more funding. Action: Talk to your legislators about enhancing the funding allocation model to be more sensitive to watersheds so they can be better protected. Talk to them about requiring lake and river associations in determining the use of the money. And, talk to them about allocating more money for this tremendously valuable program that has kindled citizen action at a level never seen before for protecting Minnesota's public waters from AIS. ➸ 5. Halt the import of AIS from, and the export of AIS to other states, by inspecting and stopping AIS at Minnesota's borders. We can't afford to have any more AIS coming into the state so there must be decontamination at the state borders. And we certainly don't want to be an "exporter" of AIS to other states. This border protection model is already used with great success by several western states. By establishing decontamination stations at existing MN DOT weigh stations, we can accomplish both of these important intents. As one example, we could stop hydrilla from entering Minnesota if we have this approach in place. 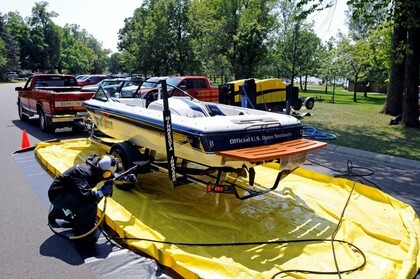 The western states know Lake Minnetonka by name as the lake that sends the most contaminated boats across their borders. This is a clear demonstration of our inability to manage AIS and for the transient boater's unwillingness to take personal responsibility. Action: It is imperative that Minnesotans talk to their legislators about getting started on this concept. DNR and DOT are required by state statute to begin the dialog to see how this could be done. This is doable and must be pushed forward. ➸6. Buy time for research with enhanced AIS inspection and decontamination. 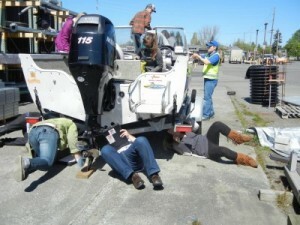 More and more local governance units (LGU's) are taking on delegation agreements with the DNR (with lake association help) to carry out boat inspections. This means that there is much greater need for high quality training of an army of new inspectors. However, inspection and decontamination training is not uniform across the state and protocols need to be enhanced to further reduce the risk of spread of AIS. MN COLA has already proposed a revision that has received interest by the DNR. 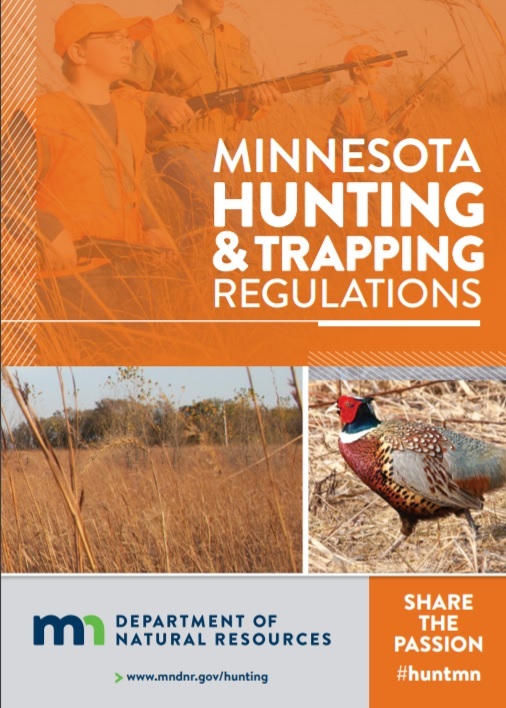 Action: Communicate your support for the MN COLA enhancements to the DNR so that every inspector is consistently as good as the best inspector. ➸ 7. Provide funding for innovative field trials to control AIS coupled with more flexibility for local solutions. 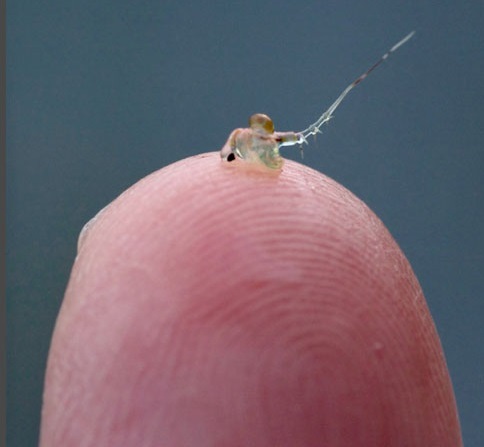 Grant programs from the DNR for AIS control have virtually dried up, and no new projects can be funded through the Initiative Foundation grant program for innovative pilot projects to prevent the spread of AIS. Yet there is still exciting, innovative work being driven at the local level that must be funded, and there are existing projects that must be allowed to continue so that we can learn what works and what does not. Some of these projects are pushing the DNR beyond their comfort level but are not precluded by statute. These projects must be allowed to move ahead as pilots in order to learn what works and what does not. Action: Ask your elected representatives to support every 2019 legislative bills that provided additional funds for local AIS grant programs. And request that they remove unnecessary and delaying DNR "approvals" for work that is allowed by state statutes. ➸ 8. Be smart about containing any new problems. 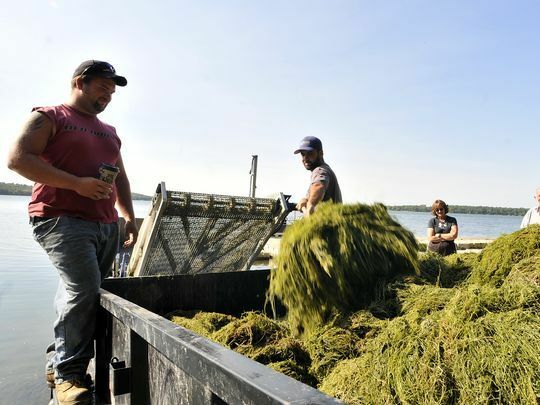 There is no economic justification for keeping access open to a lake that becomes infested with a new AIS species that we do not know how to control (i.e., starry stonewort). Containment must be complete (all DNR, LGU and private accesses). Action: Talk to your legislators and local elected officials about the need to rethink the policies around public accesses in light of the recreational and economic costs of AIS. ➸ 9. Use experts on citizen advisory boards to guide policy. Too often AIS policy is set by well-meaning, but uninformed advisory boards where the result is policy that is not based on science. This happens at the state and local unit of government levels. In other cases, the policy is set so it will not aggravate some group(s) of users. While these policies may make people feel good (or not as offended), they will likely not make the situation improve, and may make the situation worse as they are not addressing the underlying problem. Action: Talk to your legislators and local elected officials about the need to have experts on policy-setting boards so that science can be brought to bear as AIS problems and potential solutions are being decided. ➸ 1. Keep the Boundary Waters and St. Louis River watersheds free from potential release of sulfuric acid by rethinking the risk from copper/nickel mining proposals. The mining industry does not have a good track record for copper/nickel mining around the globe, nor in the US. The disasters are significant when they occur. Processing the copper/nickel ore creates wastewater that cannot be discharged but must be contained and treated for hundreds of years. As Wikipedia notes: the chemical processes involved in acid mine drainage are common around the world: where subsurface mining exposes metal sulfide minerals such as pyrite to water and air, this water must be carefully managed to prevent harm to riparian ecology. A recent high-profile wastewater spill should provide some insight as to the challenge of sulfide mining. As noted in Wikipedia, in 2015, an accidental waste water release at the Gold King Mine near Silverton Colorado allowed three million gallons of mine waste water and tailings, including heavy metals such as cadmium and lead, and other toxic elements, such as arsenic, beryllium, zinc, iron and copper into Colorado's Animas River watershed which flows into the Colorado River. The proposed Twin Metals copper/nickel mine north of the Laurentian Divide will flow into the Boundary Waters if they have a spill, while the PolyMet mine to the south of the Laurentian Divide will flow into the St. Louis River and ultimately Lake Superior. The sound bites in favor of starting up these mines talk about the jobs to be created, the demand for these metals, and how the mining industry now has the best-practices to do it right in Minnesota. The sound bites against the mines talk about how few long-term jobs will actually be created, the lack of demonstrated need for the metals, and the environmental risks to the St. Louis River and the Boundary Waters. President Trump and the federal government are involved. In Minnesota, several state departments are involved including Natural Resources, Pollution Control, and Commerce. Action: Talk to everyone you can at every level of government to let them know that you don't think the environmental risks are worth taking. ➸ 2. Protect our sensitive watersheds by rerouting new and replacement oil and tar sand pipelines toward lower risk routes. While there is a clear movement towards sustainable energy, the US still relies on petroleum to power most of our vehicles and to heat many of our homes and businesses. The pipes that carry crude oil from Alberta, Canada to Superior, Wisconsin are just a part of an old infrastructure that has reached the end of its life. Enbridge, a Canadian oil company, owns and operated these pipes and they want to replace them. This is known as the Line 3 pipeline project that has been in the news for many years. Our primary concern has to do with the route chosen for the new Line 3 pipeline and the fact that it goes right through one of Minnesota's pristine water ecosystems, where pipeline spills are environmental disasters. As MPR reported in June 2018: "the energy industry points out that they have safely transported 99.999% of oil. But that leaves the other .001 percent. And that's the percentage that people in areas where pipes have leaked care about." 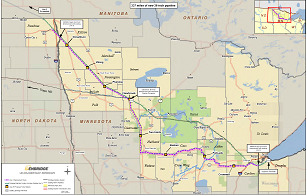 As noted in Wikipedia: the existing Line 3 pipeline was responsible for the largest ever inland oil spill in the U.S. In 1991, 1.7 million gallons of oil ruptured from Line 3 in Grand Rapids, MN. Enbridge was also responsible for the 2010 spill on the Kalamazoo river in Michigan. After 8 years and over a billion dollars spent, that spill is still being cleaned up. Pipeline spills should be expected, and our intent is to have Enbridge re-route the pipeline to areas less environmentally sensitive to spills. Several of Minnesota's departments are involved including Natural Resources, Pollution Control, and Commerce. Action: Talk to everyone you can at every level of government in the state to let them know that you don't think the environmental risks are worth taking and that the proposed pipeline should be rerouted to a lower risk route. 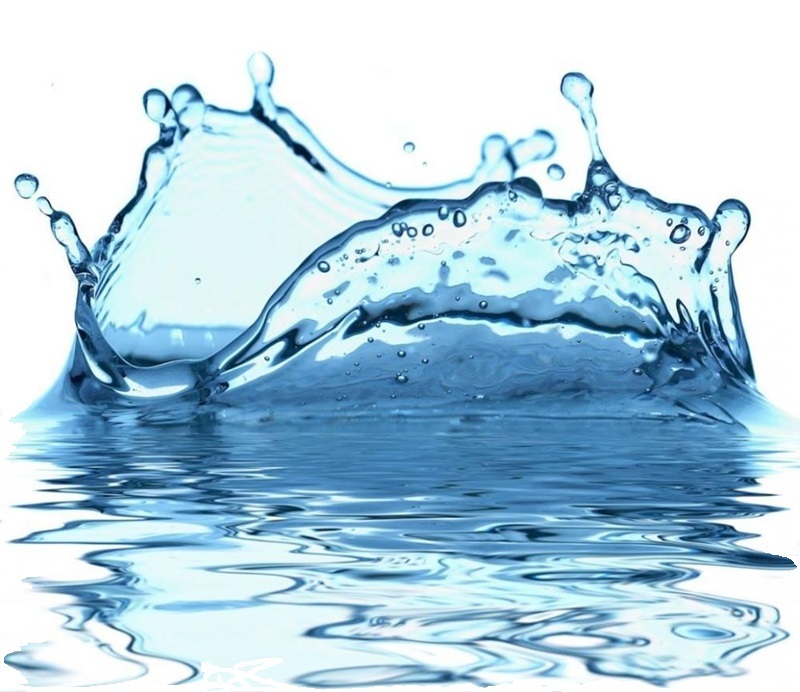 As MPCA notes on their website under the heading: "Why you should care about water quality: Minnesota's lakes, rivers, streams, wetlands, and groundwater are valuable public resources. In addition to being powerful symbols of our state, they provide drinking water, recreational and tourism opportunities, wildlife habitat, water for agriculture and industrial uses, and more. Protecting our water resources will also protect human health, our ecosystems, and Minnesota's economy." MPCA also notes: "Minnesota is a headwaters state. We send water south in the Mississippi River, north in the Red River, and east from the St. Louis River and Lake Superior. If our waters are contaminated, we are contributing to the water quality problems of our neighbors, too. In addition, we are leaving a pollution legacy that our children and grandchildren will have to address. It takes years and years to improve water quality once it has degraded." We couldn't agree more with these comments from MPCA. Our state's current actions aren't having enough of an impact. Many departments and agencies in the various levels of government are responsible for some part of our water challenges, but they aren't organized or funded to change from the status quo. A coordinated set of changes is required, and it starts from the top. Four key state departments need to define the path to improvement and then realign their focus to tell the legislature what needs to be done to make the kind of changes to make a real difference. This won't be easy, and it will not be cheap. Action: Tell your state legislators that the time has come to make a significant positive difference in the number of impaired waters in the state. Tell them it is time to get our reality aligned with the image of Minnesota's pristine waters. Tell them that we should be focused on getting the number of impaired waters down from 40% to 5%. Tell them it's time to remove the patchwork of controls and regulations caused by government silos and replace them with reorganized departments and a comprehensive model focused on making those 40% fishable and swimmable again. And also tell your county and local leaders that it is time. 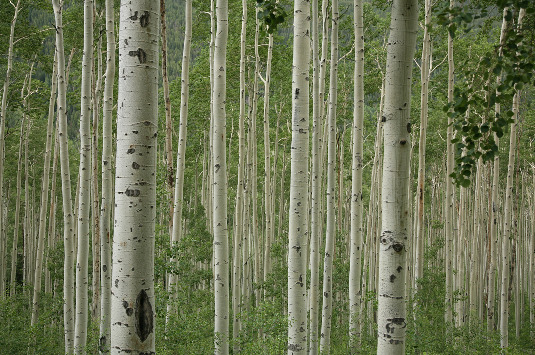 Over time, humans have altered the natural landscape from trees, shrubs and native grasses to a landscape that includes pavement, gravel, turf grass, and open soil. 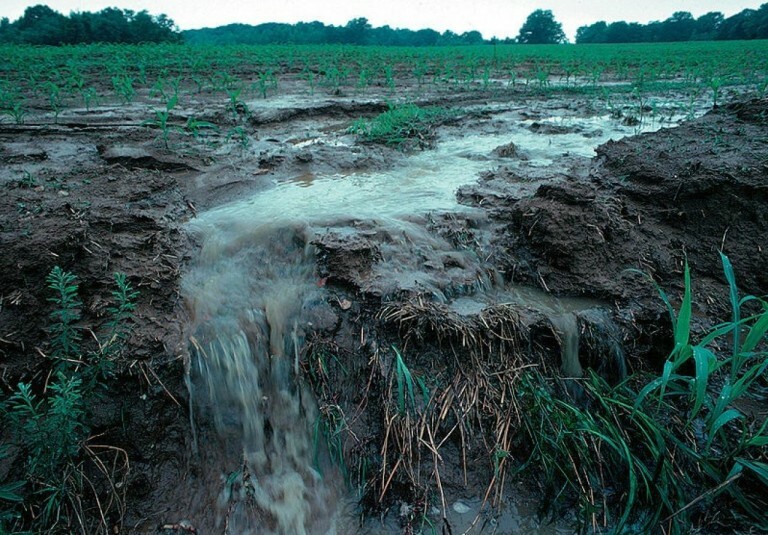 In doing so, we have increased the amount of sediment, nutrients and other pollutants that enter our lakes and streams every time it rains. These pollutants cloud our water and increase the growth of algae and aquatic plants to nuisance levels. 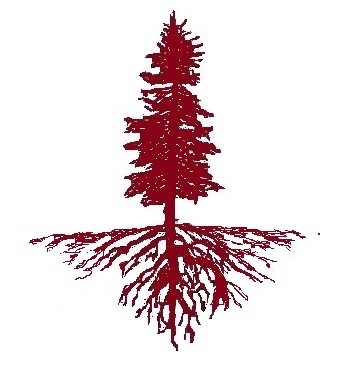 Native plants have longer root structures, so they hold the soil together better and increase infiltration. 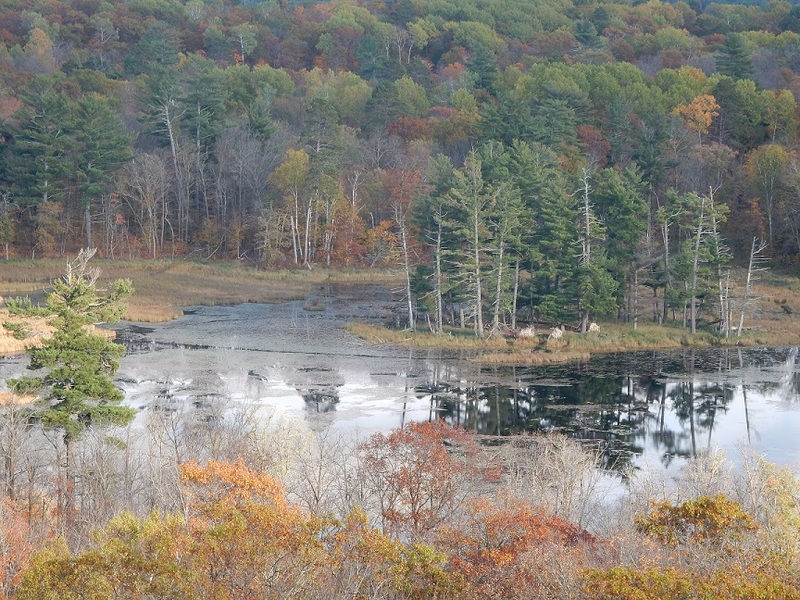 Action: Contact your county Soil and Water Conservation District to publish recommendations to increase the native vegetation along shorelines. 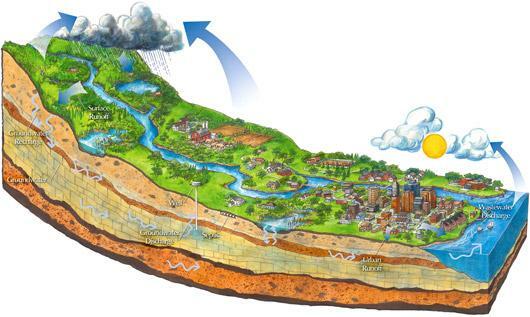 Learn more about your city or town's stormwater management program. Is your city or town just barely meeting stormwater regulation requirements, or is there a way your community can do more? ➸ 5. 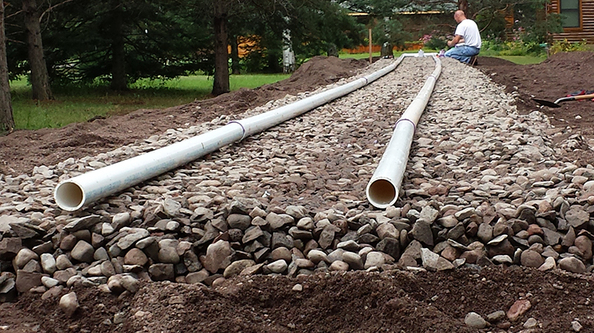 Require compliant and effective septic systems. An unknown number of family cabins or older homes near our lakes and streams have faulty septic systems. Other systems may become faulty as the cabin or home's use patter changes from seasonal or weekend use to accommodating a full family or retired couple year-round. Faulty systems can leach harmful bacteria as well as nutrients and other pollutants into our waters. Often, the only way a faulty system is discovered is through an unsightly incident or through a required inspection that might occur with a point of sale or when a building permit is pulled.. Encourage your County Board to increase the frequency of septic inspections. Further actions might include requirements for regular inspections on aging systems, required inspections on a regular basis for systems located near waterbodies, etc. Ordinances are created by state and local government in order to protect our resources, ensure reasonable privacy, and encourage safety in our communities. Upon a property owner's request, a governing agency may examine a variance request to an ordinance and approve the request if it meets certain criteria. When variances are approved, stipulations can be established to reduce the impact of this variance. 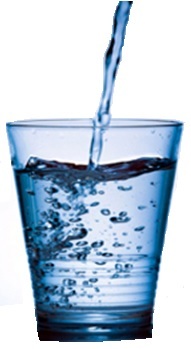 We know that it is very difficult to restore water once it is impaired. So, in order to continue to protect our lakes and streams, it is important that water related ordinances are enforced, variances on ordinances are heavily scrutinized and minimally allowed, and best management practices are incorporated to the variance plans to reduce impact on nearby lakes and streams. Action: Approach your County Board and ask them to support shoreland ordinances that protect our waters, and to have expert Soil and Water Conservation District staff advise on proposed ordinances and variances. Often there are several ways to achieve the desired outcomes for protecting our waters and shorelines. As good stewards of the water, we should support any and all approaches that achieve or exceed the desired outcomes. Action: Approach your County Board and ask them to formally support variances that meet or exceed ordinance and rulebased protection of our waters and shorelines. ➸ 1. Let's establish regulations for watercraft causing shoreline erosion and excessive turbulence, large-wave impacts to other boaters, and excessive noise. In 2017, an attorney in Michigan highlighted the challenges with wake boats and these are the exact issues we face in Minnesota. He noted that "as wake boarding has steadily increased in popularity over the past decade, statewide sales of recreational boats designed to create large, high energy wakes have also increased dramatically. Intense competition among wake boat manufacturers has led to the development of new technologies to improve the ability of their boats to create increasingly high energy wakes". He noted there at least three problems associated with such watercraft. First, they are having significant negative environmental impacts on lakes as they tend to keep lake waters churned up (and murky) as well as continually disturbing the bottom lands of the shallower lakes, which imperils natural aquatic plants, insects, fish and microscopic life. Second, wake boats are destroying natural shorelines as the waves created by wake boats are not only larger and more intense than waves created by conventional boats, they also slam into shorelines with much greater force and velocity. 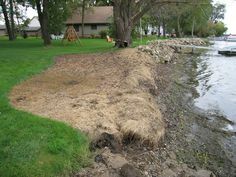 Many riparian landowners have reported that shorelines which have for years been able to withstand conventional boating activity are being destroyed or disrupted in relatively short periods of time by the large waves from wake boats. And the operators of wake boats may be destroying the private property of others. Finally, wake boats present significant safely hazards to other boaters, swimmers and even people resting or sitting on or in moored boats, swim rafts and docks. It is not uncommon for the wave from a wake boat to cause a person to fall down on or fall off of a dock or moored boat, or even break boat mooring lines. Unfortunately, on a relatively small lake, just a few wake boats operated irresponsibly (and even sometimes, operated in a normal fashion) can destroy many of the attributes that makes lake living attractive. The damage to shorelines isn't speculation. Peer-reviewed science confirms that boat wakes have been shown to have erosive effects on shorelines, scour the bottom of the shoreface, and temporarily decrease water clarity. 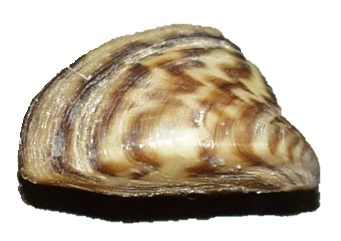 In addition to shoreline erosion, boat wake impacts include vegetative damage and disruption of faunal. Any individual shore owner can use riprap and other shoreline armoring strategies to combat erosion caused by boat wakes, but these practices also decrease natural habitat and water quality and can lead to erosion of adjoining un-protected properties. The Watersports Industry Association is concerned that regulations may be put on this fast-growing segment of the boating industry and have published best practices for wake and surf boaters. These best practices include: staying at least 200 feet from shore, keeping music at reasonable levels, and minimizing repetitive passes along any portion of shoreline. They look for boaters to pledge they will "wake responsibly". As one example of regulation, the Virginia Dept. of Game & Inland Fisheries regulations require that motorboats must slacken their speed when approaching or passing vessels, piers, docks, boathouses, and persons in the water or using water skis or surfboards "to the extent necessary to avoid endangering persons or property by the effect of the motorboat's wake. " If your lake association wants to get proactive, you might consider the getting some local regulation in place. 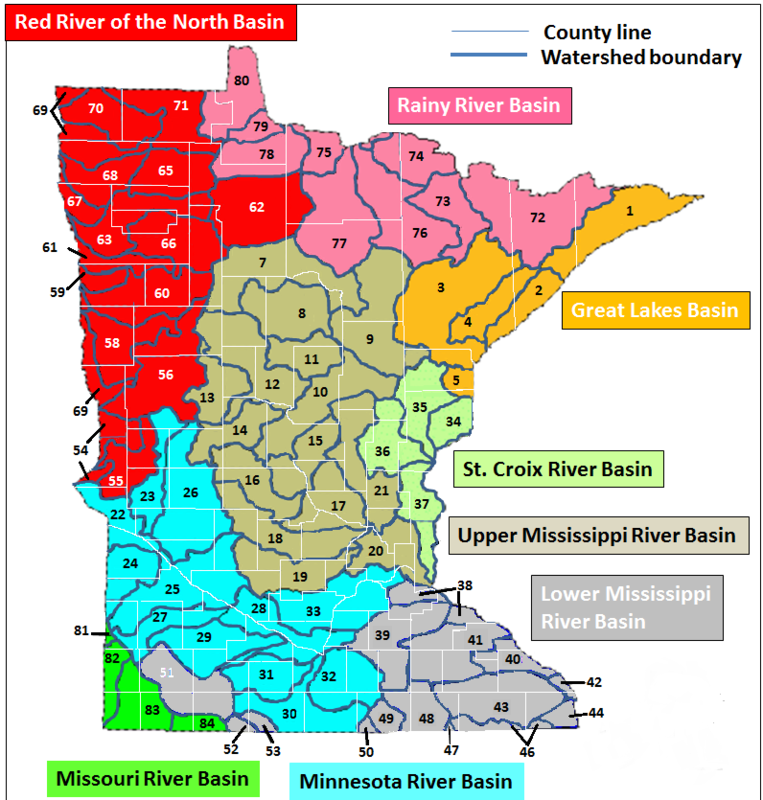 According to the Minnesota DNR, "water surface use management" starts at the local unit of government - town, city or county, depending upon where the lake or river is located. Any ordinances proposed by the local unit of government must have a hearing and be approved by the DNR before they can go into effect. Action: Get this topic on the agenda at your next lake association meeting to see if it is a common concern and assess if there is sufficient interest in pushing for a local solution, like a surface water restriction. Then push the issue with your local government officials. You might consider requesting a surface water restriction at a regional or county level. You can talk with your Minnesota Representative and Senator about getting consistent regulation on a state-wide level. You can talk with the local marine dealers who sell the wake/surf boats and equipment to push the best practices with their customers. At a minimum, you can work with your local and county governments for communication of the shoreline concern and the best practices for wake/surf boaters to reduce the impacts on shorelines. ➸ 2. Let's keep Minnesota's fish and waters healthy with Freshwater Conservation Areas (FCA's). There is a continuous complex balancing act going on under the surface of any lake and everything there must be in balance for the lake to remain healthy enough to maintain its recreational and economic value. When things get out of balance, it is nearly impossible to get it back to its original state. 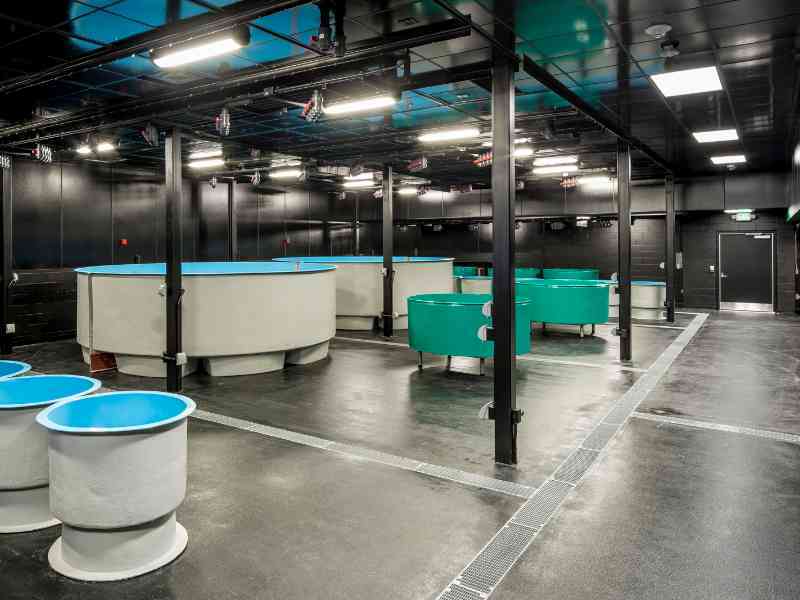 Next door in Wisconsin, a study predicts a 90% decrease in walleye lakes in the next 40-50 years because the lake fisheries will be out of balance due to overfishing, nutrient load, and/or environmental warming. The same trends are likely to happen in Minnesota unless something is done. Several preservation areas have been established in important marine regions and oceans with great success: the native species rebound in a remarkable fashion. It is time to try this concept in freshwater, right here in Minnesota, where many lakes are under high biological stress. The DNR defines Scientific and Natural Areas (SNA's) to protect important land but has no equivalent approaches to protect water. 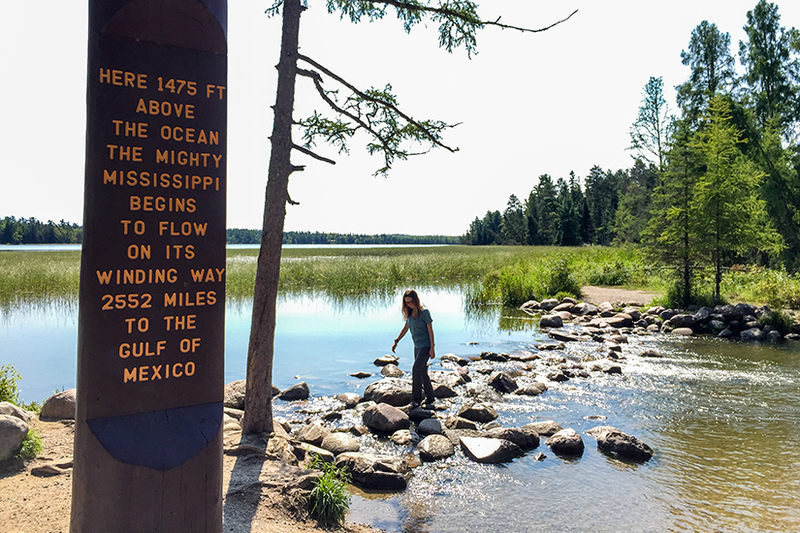 Action: Talk to your legislators about the need to start this new program aimed at preserving the tourism importance of one of the biggest and most iconic lakes in Minnesota—Lake Itasca. ➸ 3Let's keep our fisheries strong by learning to live with, not mess with, Mother Nature. We should not be stocking Muskie's except in native Muskie lakes. Muskies are native to about 44 Minnesota lakes and 8 major rivers. However, for many years, the DNR Muskie stocking program has artificially greatly expanded this natural distribution to another 60 plus lakes that did not have a native Muskie population. The DNR and the Muskie anglers may want Minnesota to become the Muskie fishing capital of North America, but the scientific impacts to the ecology and the economic considerations are missing. The decisions for expansion in the numbers of Muskie lakes have been made without lake associations at the table, and lake association input collected during the public comment period has been routinely ignored. 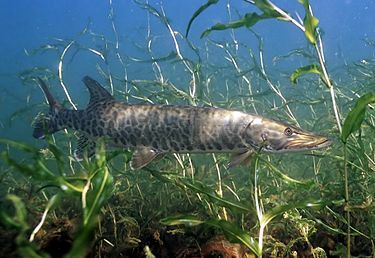 There is insufficient science-based evidence to show that Muskie stocking in non-native lakes does not harm the biological balance of the lake. Action: Approach your legislators and local officials with the Muskie facts pertinent to your ecological concerns and long-term economic well-being of your area. Acknowledgement of the views from all sides of these issues are critical to finding a solution. And importantly, request that lake associations have a seat at the table when Muskie stocking recommendations are being considered. 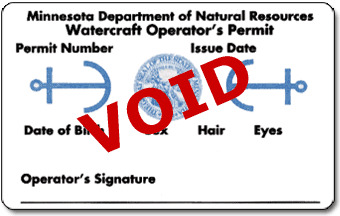 As with driving a car, boating is not a right to Minnesotans. It is a privilege that comes with responsibilities. Doing everything one can to protect lakes from AIS is one of those responsibilities. Boating responsibly, safely, and especially not under the influence of alcohol, are other responsibilities. Driving a car requires a license; therefore, it is logical that driving a boat should also require a license. Minnesota state parks have a plethora of rules and regulations including things like annual and/or daily use fees, hours of operation, hours of quiet time, parking rules, and no pets unless on a leash. Special fees are required to ride a horse, rock climb, cross country ski, and snowmobile. Funds from state park vehicle permits and fees are used to help manage park resources and facilities. It should be noted that many county parks also follow this same model. 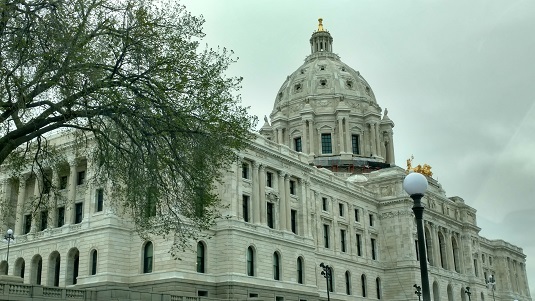 Many lakes in Minnesota have similar public facilities including public water accesses, restrooms, parking lots, etc., and yet they individually struggle for funds to manage the resources. If you ask why we can't use a similar fee-based model to manage these resources, you often hear that there are restrictions put on by the federal government that limit what can be done. As background, Minnesota has and continues to take advantage of federal funds to buy land and build public accesses. The US laws that established these funding mechanisms were established in simpler times when water was abundant, clean, and not at risk of AIS. Let's figure out ways to have usage fees to fund the protection and management of our precious water resources. It's the people who are using the lakes who are causing the damage, so it's only logical to have some portion of the cost the protect and manage the lakes paid for on a usage basis. And let's figure out ways to regulate usage, so that we don't spoil what we have nor the opportunity for all to enjoy these incredible assets. Action: Talk to your US Representatives and Senators to remove any real or perceived handcuffs from funding lake management with usage fees at DNR accesses as the simpler times are long gone. Talk to your county, township, and city officials about funding lake management with usage fees at non-DNR accesses as the simpler times are long gone. And let's get the same kinds of logical regulations in place for all lakes as we do for state parks. 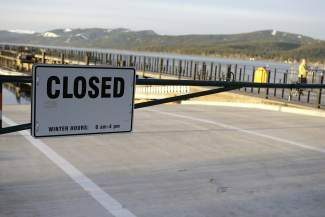 Talk to your MN legislative members to evaluate the Federal oversite to our jointly funded lake accesses and/or instruct the MN DNR to revise their "open access despite the risks" attitude.